WHAT TERMITE CHEMICAL IS BEST? Termites are a wood destroying insect that can cause a lot of damage to homes and basically anything made with wood. 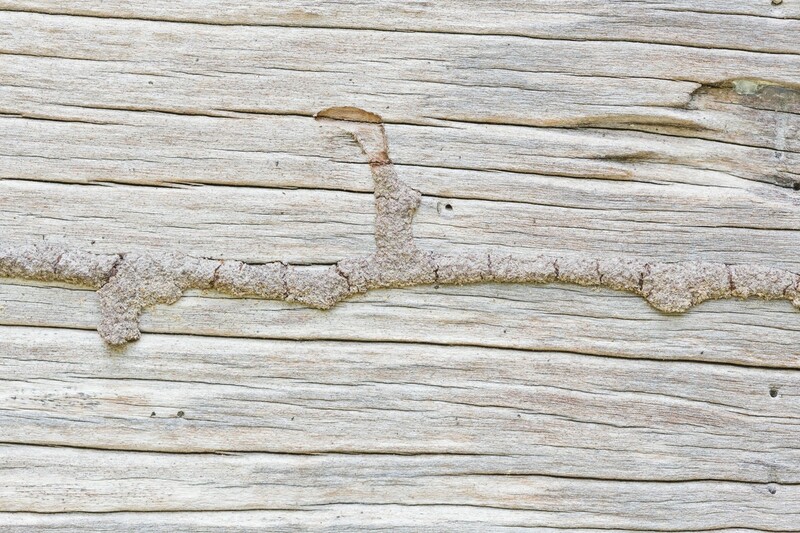 Termites are important in nature because they help recycle dead trees along with anything made with cellulose. But when they invade our homes and eat away at our house, a good termite control program must be instituted. At this time there are many options for doing a termite treatment inside and around the home. And though termite treatments used to be something that one would hire a service company to perform, the products being used are a lot easier to handle and apply. 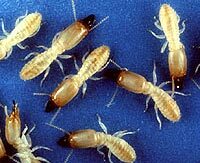 So if you’re a do-it-yourselfer and want to save a lot of money by doing your own termite treatment, we can help. First you’ll need to decide what type of product to use. In general, termiticides fall into one of two groups. Repellent and non-repellent. Repellent products tend to last longer. They will kill insects that travel through the treatment but in most cases, they “repel” insects. Non-repellents are not detectable by insects. The goal of a non-repellent is to get enough of the active colony exposed to the chemical which in turn can kill the nest. This approach is effective for insects which live in communities like ants, termites and bedbugs. And then there are bait stations and “local” treatments for infested wood. But what’s the best treatment? And which chemicals are the “best” to use? The answer depends on which company you ask. In our opinion, they all can work when used properly. At least that’s what our hands on experience shows. And the goal of this article is to share some of that information and experience so you too can decide what will work best for your property. 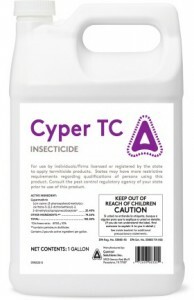 If you want to treat around a structure before you have any sign of termites, use CYPERMETHRIN. Termites will readily detect it and stay away from where its been applied. Mix 1 gallon of concentrate with 50 gallons of water (2.5 oz per gallon of water) and apply this mixture to a small trench you’ll need to dig around the homes foundation. The label allows for a variable rate of coverage but in general, 1 gallon of concentrate mixed at this rate can protect any home which has up to 250 linear feet of foundation to treat if you apply 2 gallons for every 10 feet of trench. Treatments will last 5-10 years and can be renewed if termites are found active or if the soil is disrupted. 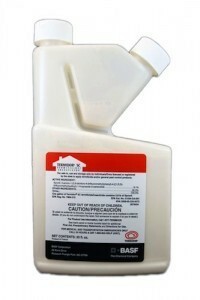 The “newer” products for termite treatments include actives which are very differently. Instead of having to apply 50+ gallons to get a good barrier in place, these newer compounds rely on a “stealthy” approach. This means you can achieve success with very little chemical because the treatment is essentially non-detectable by foraging termites. These actives are the better choice to use if you have active termites because they will assuredly walk through it. This insures they’ll be exposed and “share” the treatment with the rest of the colony. Conversely, the use of a repellent like Cypermethrin may only chase them elsewhere and get rid of them for good. So if you have an active infestation, use a non repellent to insure the problem is handled. 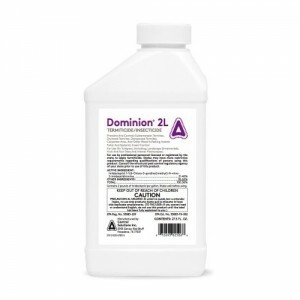 The original non repellent is DOMINION 2L and is still a great option for active termites. Mix 1 jug per 50 gallons of water (.5 oz per gallon of water) and apply 5 gallons to every 12.5 linear feet. At this rate 1 jug will make 50 gallons of finished product and will be able to treat 125 linear feet. Treatments will last 3-5 years making Dominion a cost effective option for any structure. Another popular non repellent being used by many professionals is TERMIDOR. Its easy to mix and like the other options, treatments will last 3-5 years. Use 20 oz per 25 gallons of water (4 oz per 5 gallon pail of water) and apply 5 gallons to every 12.5 linear feet. That means 1 jug can cover up to 62.5 linear feet. The average home will require 2-3 jugs and treatments should last 3-5 years. Termidor is no doubt more costly to apply compared to Dominion so depending on how much you need to apply, this could be a factor. Another option commonly used by many professionals today are TERMITE BAIT STATIONS. These offer a very different mode of control in that they’re not a spray but instead a feeding station where termites will go to eat. These stations can be placed anywhere in the yard around the home and can be used as a way to “monitor” termite activity on your property. Treating around the home with a repellent or non repellent is still suggested and should be done. But knowing there are termites in the yard is helpful and for this reason, using Termite Bait stations in some areas is a good tool for detecting early activity. Once in place, you’ll want to inspect these stations every 2-3 months during the warm season to see if there is any activity. And once active termites are found, you’ll want to bait the station with an active BAIT CARTRIDGE. This cartridge contains a slow working active (another non repellent) that will then infiltrate the colony and eventually kill it. 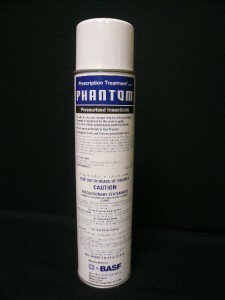 For termites discovered in floor joists, sill plate, fences or some other area above ground, spray all galleries with PHANTOM AEROSOL. This low odor active in yet another non repellent so don’t expect the termites to die immediately. They will take a few days to die but again, this is by design. Allowing them to forage back to their nest and “share” the chemical with other members of their colony helps insure the whole nest will die. 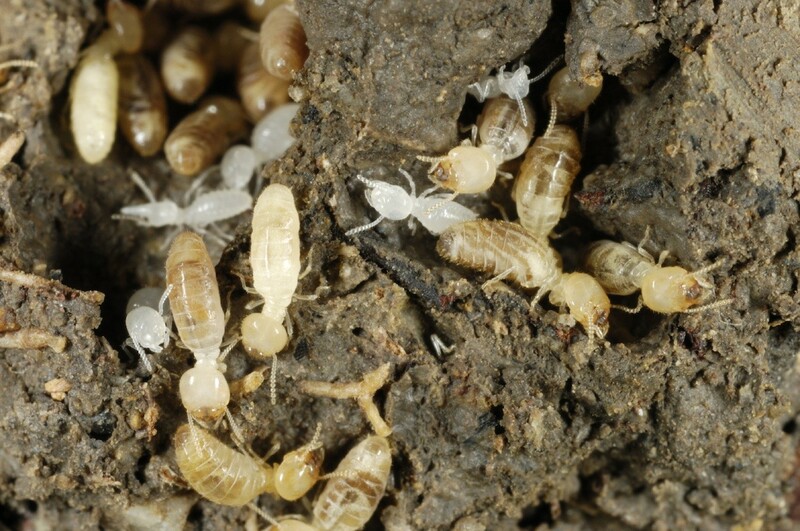 Termites are a major pest here in the United States and are important to the natural balance and “recycling” of cellulose products in our environment. But once in the home they will cause costly damage. 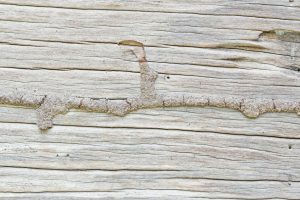 Considered a “latent” pest, its important to treat around any structure suspected of termite activity to insure there isn’t an ongoing problem or lingering infestation. Need help calculating how much chemical you need to treat your home? Give us a call or send us an email anytime and we’ll try to assist. HELLO GUYS. I APPRECIATE YOUR WEB SITE. I DON’T KNOW IF THIS PEST IS A TERMITE ARE NOT. THEY ARE LIKE SMALL MOTHS AND THEY CONGREGATE ON THE CEILING. I SOMETIMES FIND SMALL LAVA LIKE CREATURES. THEY FLY VERY SLOW AND I FIND VERY FEW ALL OVER THE HOUSE WITH THE HIGHER CONCENTRATION FOUND IN THE GARAGE. PLEASE ADVISE. Give us a call toll free if you still have questions. Our number is 1-800-877-7290. For wood that’s above ground and reachable, use Boracare. It will penetrate unfinished wood and penetrate deep making it ideal for wood destroying organisms like powderpost beetles and termites. Boracare is odorless and treatments done inside a structure can last 5-10 years no problem. Outside applications will last 3-5 years so even when exposed to the elements, it can do the job. And since Boracare is odorless, it can be used just about anywhere in the home for long term control on wood which is subject to wood rot, moisture and insect attacks. Am I looking at a springtails or termites? I have minuscule blond colored dirt colored things that look like dirt specs but hop like fleas in my bathroom sink…I also have a bay window in the living room that leaked at one point and the window seat there sometimes has 20-30 small bod, round bodied winged black bugs (usually already dead) bugs…these I have also seen in other windows of the home like patio door and they flit or fly about in small spurts—they do not hop. My yard is always damp 2-3 days longer than everyone elses after rain or snow melt because it is a lower lying property that likely needs drain tiles at some point. The home is 14 years old and I bought it 3 years ago. The window bugs can be seen anytime. The bathroom sink bugs seem to appear when it is dark or at night. When I turn on the light at night or go into the bath in the mornings there are usually 3-7 of these things which I know are not fleas although they do hop. I live on a slab and there is a bathroom drain trap outside the home outside a bedroom joining to the bathroom. Please help! No doubt the bugs you’re finding in your sinks are springtails. I suggest you get some of the PT221 listed in our springtail article and get the sinks treated ASAP. This should provide immediate results and its very easy to do. Next, you’ll need to treat the outside using some Bifen Granules and Cyonara RTS. These are also listed in our springtail article. This treatment will help control all the springtails no doubt nesting in the ground around the home (along with many other pests). As for the bugs you’re finding in your windows; how frequently do you see them? 1-2 a year or more frequently? And can you email us some pictures of these insects? No doubt it could be termites but there are many other pests that resemble what you described so it’s just not possible for us to know for sure unless you provide more information and ideally, some pictures. Here are links to these items mentioned above in our cart. Please show your support for our business by purchasing the items we recommend from the links provided. Remember, this is the only way we can stay around and be here to answer your questions and keep this valuable web site up and running. Thanks for your business! I’ve found termites coming out of my exhaust fans in both bathrooms last night. How do I treat a shingled roof? 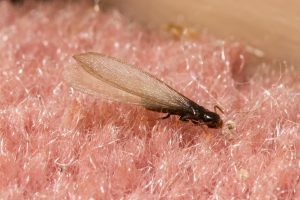 First and foremost, all kinds of termites send out what we call “swarmers” and these can be seen in unusual areas such as vents, light fixtures, etc. But where you see them is not the deciding factor as to where you will have to treat. For that we’ll need more information. And the “more information” we’ll need is what kind of termites you have active. Dry wood termites live above ground and will require a direct application to their nest. Subterranean termites live in the soil and will require treatments to the dirt. That means regardless of where you’re seeing them, the treatment method will depend first on the species. So for now, find out what they are. This can be done by bringing some samples to any local pest control company that does termite work. They should be able to look at your sample and know quickly what they are. Once you find this out, contact us again and we should be able to further help if you want to treat the problem yourself. Hi, thanks for your site and videos. I found a dry-wood termite infestation on my floor (through a pile of recurring pellets). I put orange oil in the tiny hole and it stopped. However, I am sure there are more in the wall below. That wall is “finished” but my guess is that they’re in the unexposed studs. What do you suggest product-wise and approach-wise to eviscerating them? Must I open the wall? It’s painted drywall. Drywood termites are different from the subterranean species discussed above. Drywoods live their lives above ground, typically hidden in a wall void or piece of furniture, and require a direct treatment to knock them out. Since “orange” oil is more of a repellent and not a traditional pesticide, I would refrain from using it anymore. All it will do is chase them deeper into the void making a successful treatment harder to achieve. But two products that work well on any kind of hidden pest like drywood termites is Premise Foam and Boracare. For large open areas like attic decking, rafters and crawl spaces, Boracare is well suited. So if this wall you’re talking about is directly below an attic, getting up into the attic space to inspect the area would be smart. And if you locate termites in that space too, treating all exposed wood with Boracare would protect it many years to come. Basically the Boracare would absorb into the wood and anything which tries to feed on the wood in the future would die. Since Boracare is not well suited for wall voids, I believe Premise Foam is what you’ll need. To treat the wall void with the foam, you’ll first need to drill small holes above the area where you see activity. These holes should be 1/4″ and spaced 1-2 feet apart. Use the included injector tips that come with the Premise to pump the foam into the holes. Premise uses a non-repellent active so termites won’t know its a chemical. They’ll readily walk over the treatment picking up a lethal dose which will kill them a few days following the treatment. Premise will last several years when applied in a hidden space in the wall and you should try treat as much of the immediate area as possible to ensure you get thorough coverage. But since Premise won’t spook them, as long as you get one main site where they’re active you should kill all nests once enough crawl through the treatment. Now if by chance you are keen on opening up the wall to see what’s happening inside, treating with Boracare will become the best option but there is a good chance you can avoid all the work by using the Premise.